The Bull print: a fun way to decorate your home. 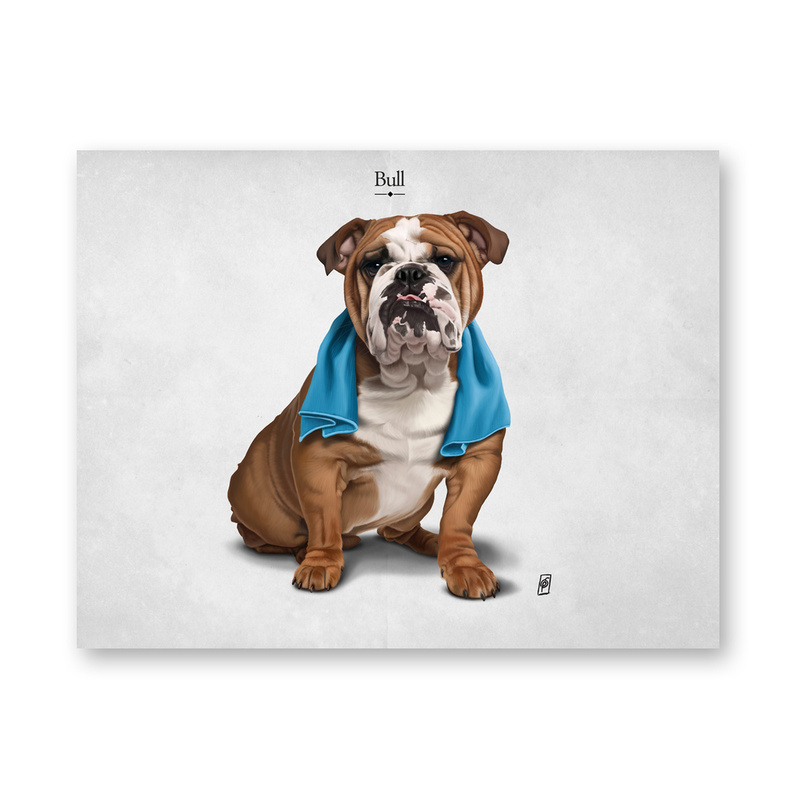 The Bull print is sure to charm young and old with its modern design: on a grey background, it depicts a funny bulldog with a turquoise towel around its neck, almost as if it were returning from a boxing match. This print is made by Arthewall, a brand that has always produced quality and original accessories, digitally printing the drawings to ensure bright and vivid colours. The print is set on a 16 mm structure in aluminium, a weather-resistant material, and it is perfect just about anywhere in the house, decorating it with a touch of originality. Suitable for a children’s room thanks to its extravagant design, it can also be placed in a modern living room, where will attract your guests’ attention with its originality and bright colours. Moreover, the neutral grey background makes it easy to match to the existing furniture – both light and dark, with which it will create a pleasant contrast – even more so if you choose textile accessories that recall colours such as gray or turquoise. 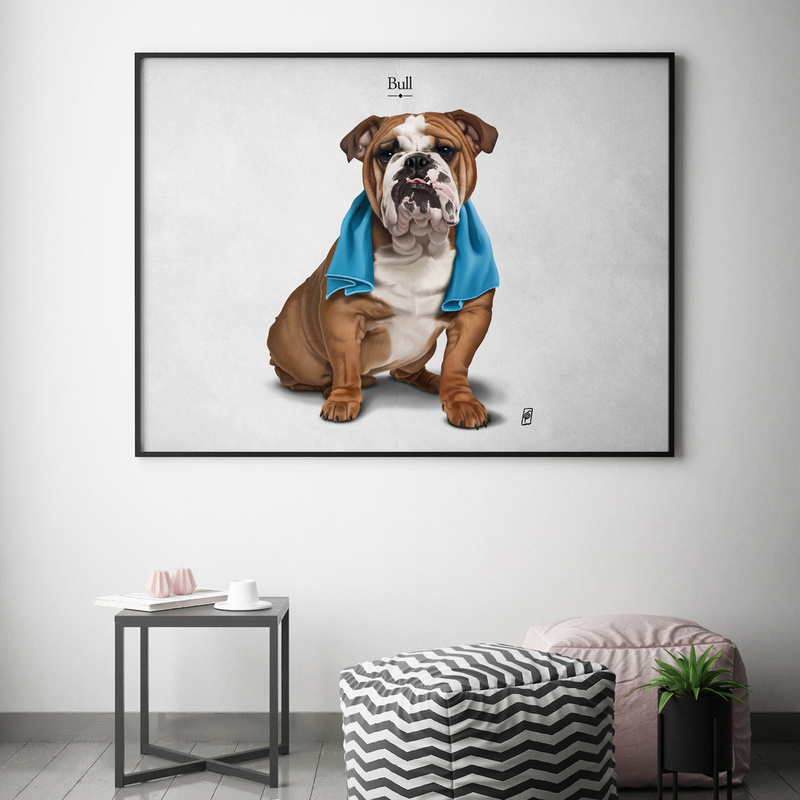 A great idea is also to dedicate an entire wall to Arthewall, creating a sort of art gallery right home, combining a number of prints with funny or interesting subjects, imbuing your home with an air of exclusivity. Original and unique in its kind, the Bull print can also be a good idea for a gift, for birthdays or any other kind of occasion. Information: The frame is not included. 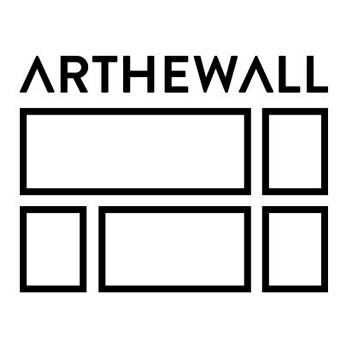 A virtual art gallery: this is what the brand-new Italian company Arthewall is all about, giving you the possibility to choose the finishing and size that best suits the space you want to decorate. Look for the perfect print for your home or office walls among single pieces, series and collections created by a selection of international artists and photographers.